If you need to call someone, but it's not convenient to place the call right now, you can use the Reminders app to help you remember to make the call later. 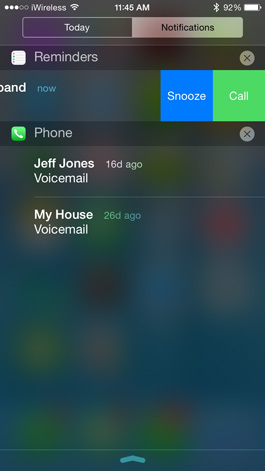 If you use Siri to create the call reminder, you'll be able to call the person directly from the reminder notification. 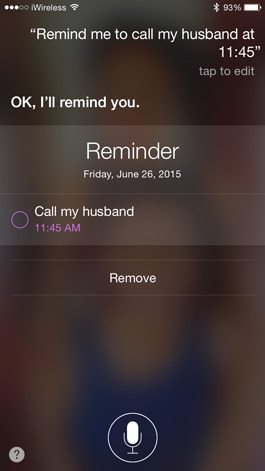 When you receive the reminder to call your husband, slide the notification to the left and tap Call. Siri will dial his number without you having to open the phone app. It's just like having a personal assistant to dial the phone for you. Violet is a freelance lifestyle writer. She loves spending time with her husband, enjoys going on adventures, and is an Apple enthusiast.